All cats are, of course, special and idiosyncratic in their own subtle ways - but this cat's most unique trait is highly visible. It's right there on her chest. Meet Zoë. She lives in the Netherlands with her mom, Joanne Smienk, who adopted her, along with her sister Izzy, back in September. 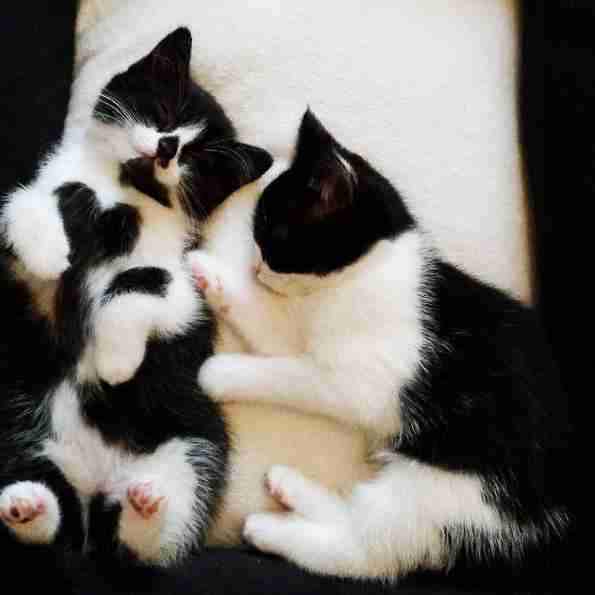 These British shorthair mixes are now just shy of 1 year old. 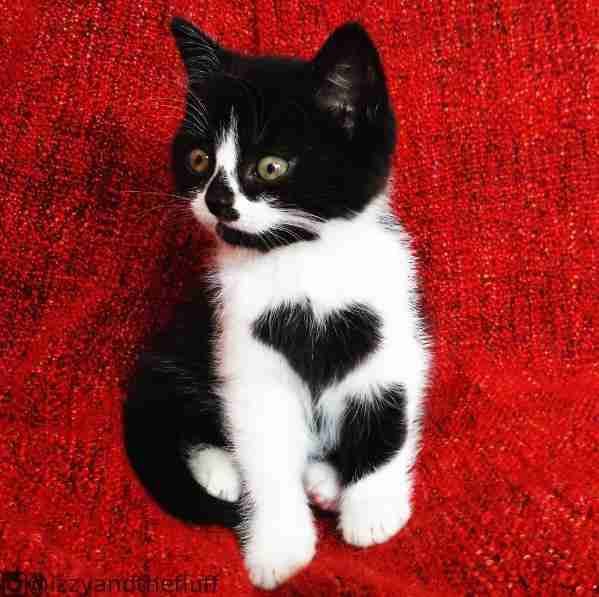 "When I first met Zoë, I immediately saw the heart on her chest and was very surprised to find out that no one had noticed it before," Smienk tells The Dodo. "I melted instantly, of course." 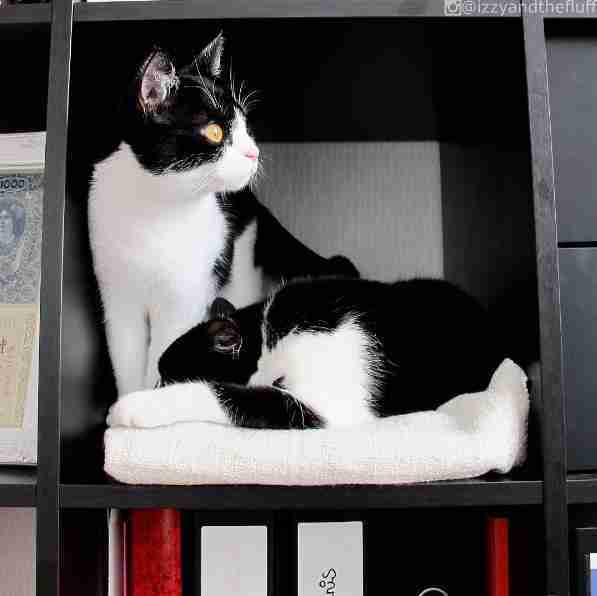 She had initially planned to adopt just one kitten, but when she saw how close Izzy and Zoë were and how they always roamed around together, she just couldn't resist taking them both home. 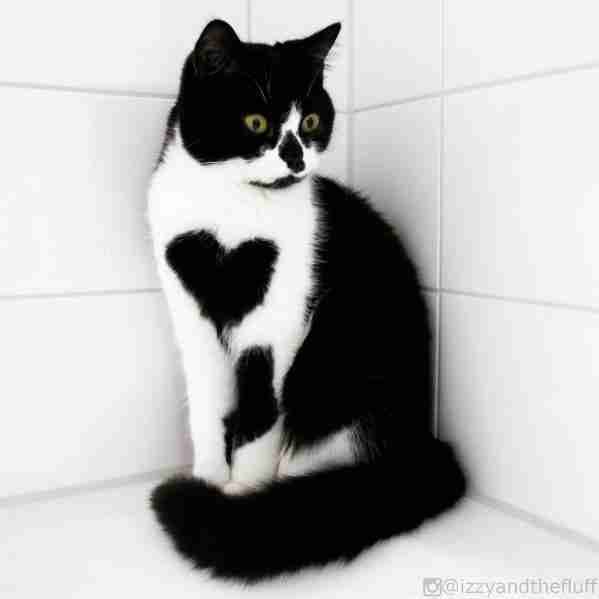 Smienk documents the cats' adventures on Instagram, where Zoë gets tons of attention for the striking heart on her chest. All the most-liked photos on the account show the heart, Smienk says. But despite all the attention she gets for her glamorous markings, Zoë doesn't always enjoy being the center of attention. "In real life, she is fairly shy. Eventually she does come around when people come over, and they find her and her heart very adorable, but Izzy usually gets more attention," Smienk says. "Or rather, Izzy takes more of the attention." Sometimes, Zoë prefers to just camouflage herself completely. But even though she's shy, Zoë is definitely the more curious of the two. "She is always looking around for new things to explore," Smienk says. "Her curiosity has already caused her to fall in the (full) bathtub four times." 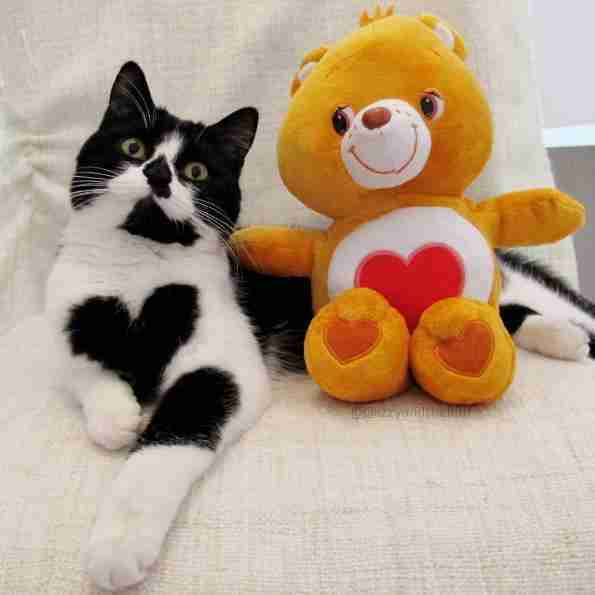 Smienk always likes to joke that Zoë aspires to be a Care Bear when she grows up. The one with the heart, obviously. 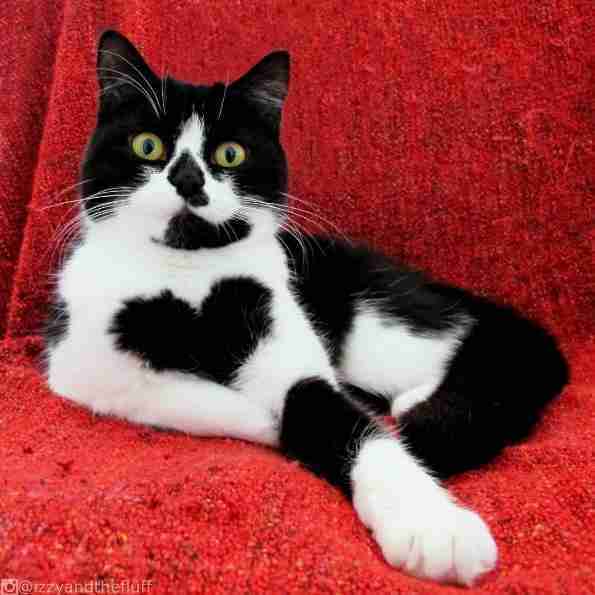 After all, Zoë's worn her heart on her chest ever since she was a tiny kitten. 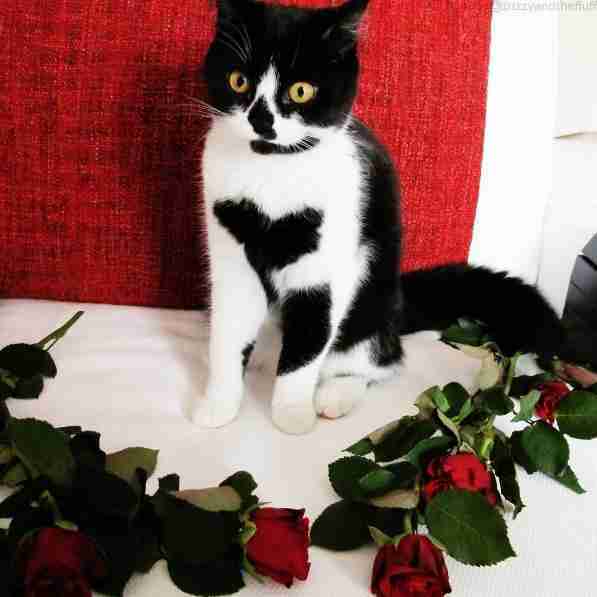 ... because you know she'd melt just about anybody's heart.